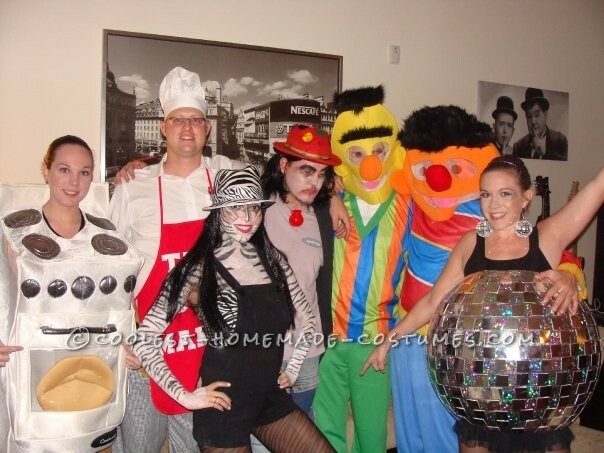 I made this best ever homemade Disco Ball costume using a palates ball from Wal-Mart. I covered it in a t shirt and then paper mache leaving holes at the top and bottom for my body and making sure the deflate hole was accessible. Then after it dried, I deflated the ball and removed it, trimmed the shirt and covered the whole thing in silver duct tape. I used some black strapping to create the straps to hold it on and taped then to the inside with duct tape. The mirrors are made from two different kinds of silver card from the scrap booking section of Hobby lobby. I cut them into squares and hot glued them alternately all over the ball. And there you have it! 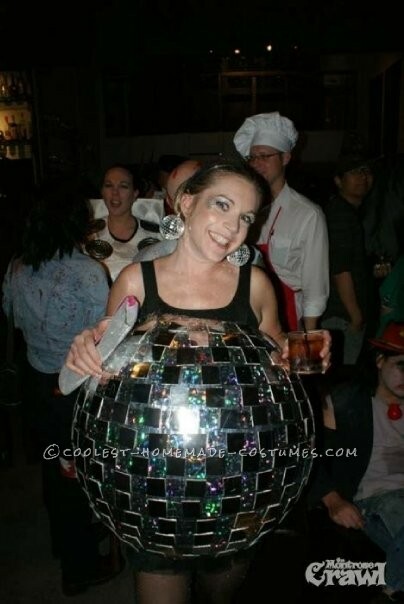 The best disco ball ever.